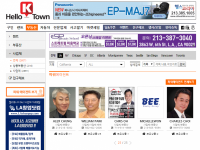 My name is Tae Woo Kim and I am a Real Estate Agent who specializes in L.A, Orange, Riverside and San Bernardino county area real estate. I’ve been helping my clients buy, sell, and rent properties - managing every aspect of the real estate process. No matter whether you’re looking to sell your current home, or find a new rental property to rest your head, I can help you secure the best opportunities in the real estate market.